Today, I’m finally able to reveal the new cover for Living by Ear, designed by the brilliant Greg Simanson. The entire book has gotten a facelift–including a bit of an edit–from my wonderful publisher, Booktrope. Thank you a million times to all members of the amazing creative team who worked so hard to make this happen. 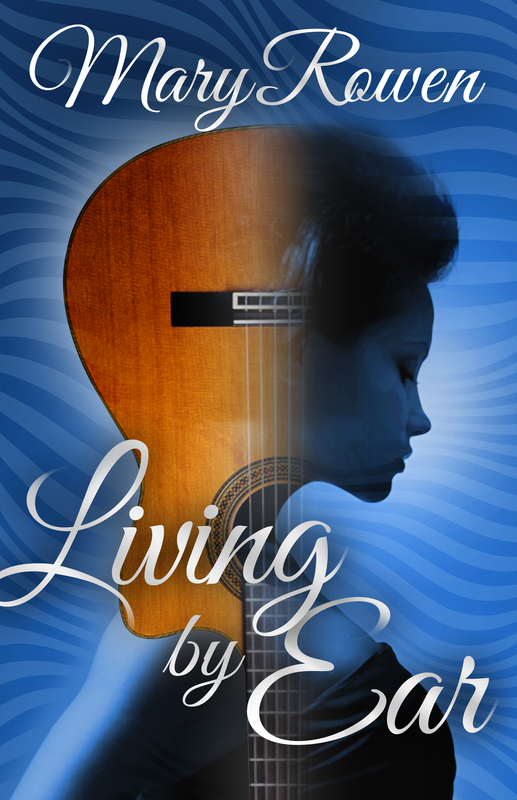 This entry was posted in promos, Uncategorized, writing and tagged Booktrope, cover reveal, greg simanson, living by ear, mary rowen, new fiction, women's fiction. Bookmark the permalink. 4 Responses to Cover Reveal! A Beautiful Facelift for Living by Ear! That’s beautiful! I have the older version teed up on my kindle! Thank you, Carrie! I so appreciate your support! How about I send you the new version as soon as I have a copy? I’d much rather you read that one. If you send me your email at mary@pocomotech.com, I’ll get it over to you asap. Thank you, Jan! I love it too! I hope you’re having a great Friday.